When part of the dedication of a kids book is to Joey Ramone, you know it's going to be good. What can I say, my Pops was a musician and that count brings back good memories. 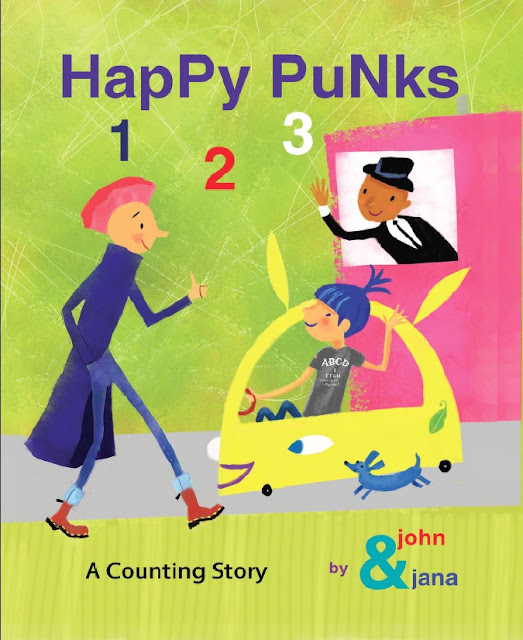 So when I heard about John & Jana's book "Happy Punks 1 2 3", I was excited to check it out. 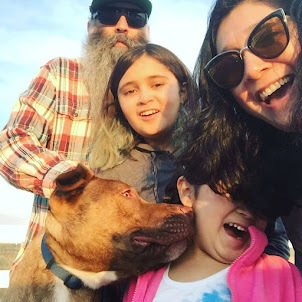 John Seven and Jana Christy are a married couple and children's book creating team. This book is all about a place called New Flip City and we get to follow along (and count along) as the Happy Punks go around town getting ready for their show. The story is simple and cute and fun, but the illustrations are amazing. They have managed to still keep the look and feel of punk while making it bright and colorful and kid-friendly. For example. 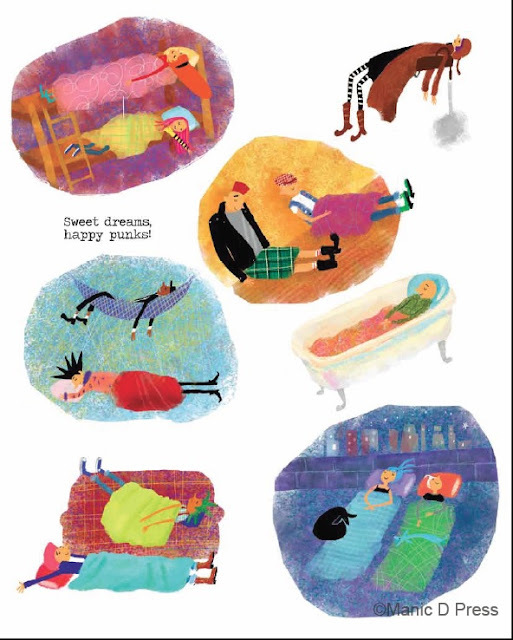 At the end of the book all the Happy Punks fall asleep. This page immediately reminded me of the scene from the movie Sid and Nancy, where after a show all the punks crash on the floor of some apartment. Just a bunch of people just spread out everywhere just crashed out. John & Jana managed to remind me of a dirty gritty movie but in a total cheerful, colorful, kid appropriate way!